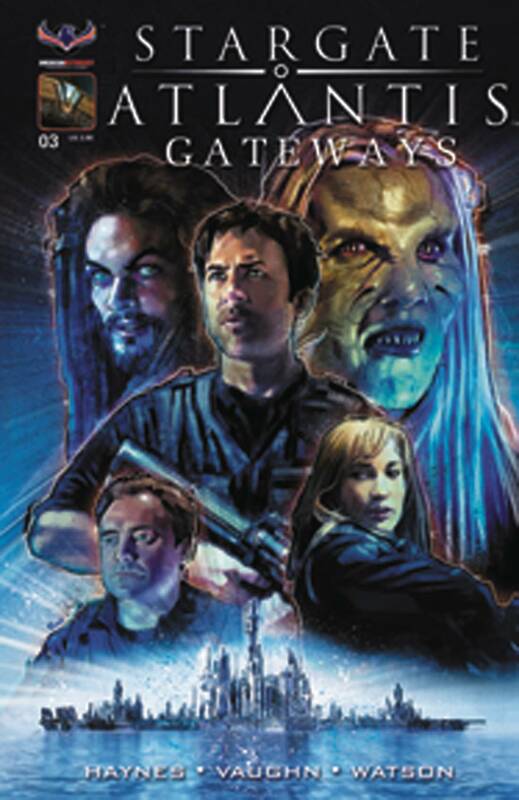 As STARGATE ATLANTIS: GATEWAYS comes to its crashing conclusion, the team deals with the aftermath of the alien attack on Atlantis and Janus' escape into the Pegasus galaxy. Deliberately mentally altered by his own hand, can one of the Ancients greatest minds be stopped now that he has turned against the humans? Available with a Main cover by painter Jon Pinto, Subscription variant cover by Andrew Mangum, SGA Photo Cover, and a special Retailer Incentive Photo Flashback cover.